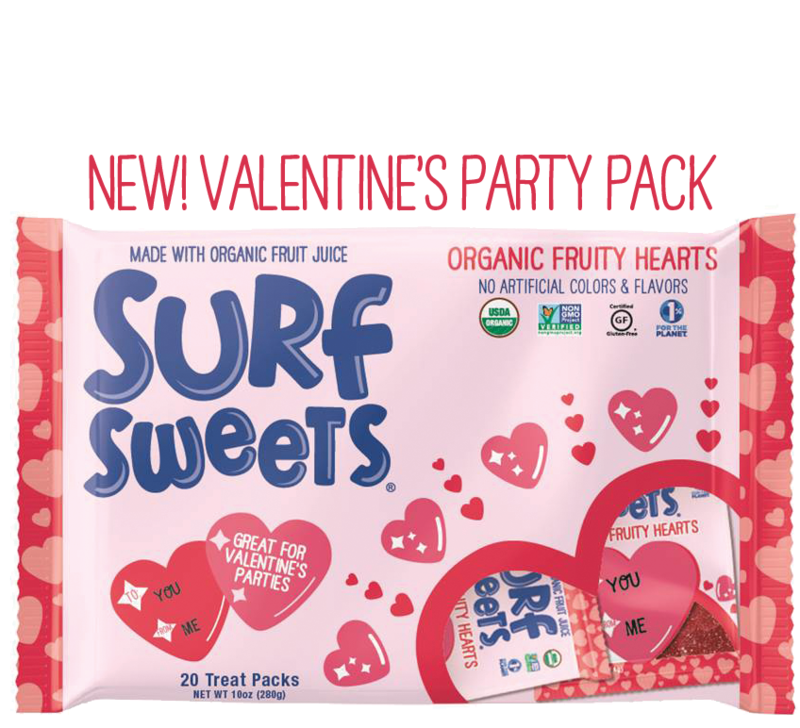 Surf Sweets & TruJoy Organic Candy is perfect for Valentines Day! 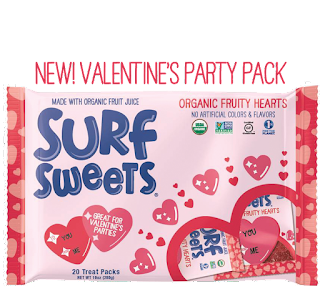 Surf Sweets Organic Fruity Hearts and TruJoy Organic Heart Lollipops are perfect for school Valentines Day parties. 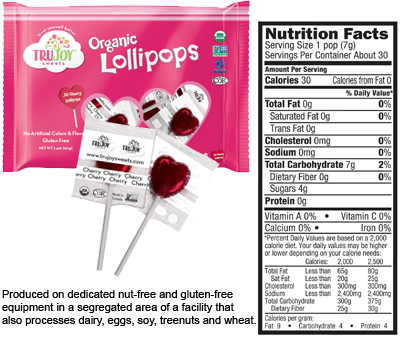 Kids will love them and you don't have to feel guilty about giving them unhealthy artificial dyes and flavors since Surf Sweets Organic Fruity Hearts and TruJoy Organic Heart Lollipops are organic and made with all natural organic ingredients. They're peanut and gluten free which is a huge relief to those with allergies and they're Vegan. I absolutely love the flavor of both the Surf Sweets Organic Fruity Hearts and TruJoy Organic Heart Lollipops. Surf Sweets Organic Fruity Hearts and TruJoy Organic Heart Lollipops are a delicious way to celebrate Valentines Day!